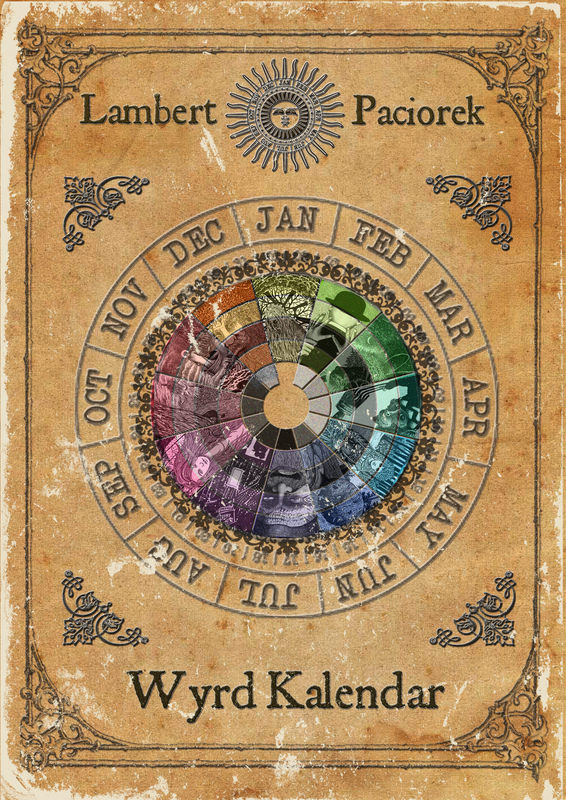 The idea behind the Viewing Circle was to post links to some folk horror viewing (accessible on-line) with a brief introduction listing original release/broadcast dates, notable actors, directors and composers, a brief synopsis and the occasional review from its original release. The hope was that like with a Bookclub those folk horror revivalists who watched the suggested viewing would then discuss it adding their own thoughts or questions to the original FHR Viewing Club thread. It was decided to pilot this idea in the month of October in the run-up to Halloween alternating between Film and TV programmes every 2-3 days. If this proved successful the Viewing Circle could possibly continue with the potential for some exclusive viewings of new works in the future. What follows is the introduction section for each of the FHR Viewing Circle recommendations from October 2018. `Shadows’ was a British Supernatural television anthology series produced by Thames Television for ITV between 1975 and 1978. 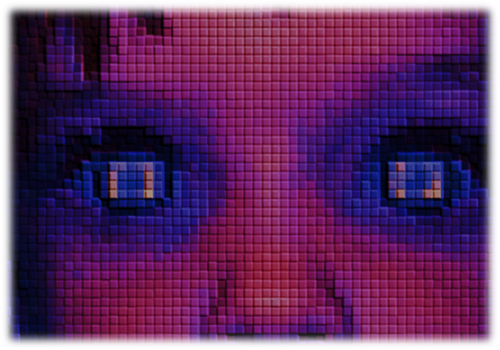 Extending over three seasons, it featured ghost and horror dramas for children. Guest actors included John Nettleton, Gareth Thomas, Jenny Agutter, Pauline Quirke, Brian Glover, June Brown, Rachel Herbert, Jacqueline Pearce and Gwyneth Strong. The series was also notable for reviving the character of Mr. Stabs who first appeared in Ace of Wands. Notable writers for the series included J. B. Priestley, Fay Weldon, Penelope Lively and PJ Hammond. This episode – Dark Encounter – was written by Susan Cooper and stars Alex Scott, Shelagh Fraser (who played Aunt Beru in Star Wars), Brian Glover, Hugh Morton, Margot Field, Carolyn Courage, and Graham Kennedy. It was first aired on 18th August 1978. 2 – Our second Folk Horror treat for the lead up to Halloween is `The Juniper Tree’ – A Dark Tale of Witchcraft & Mysticism. 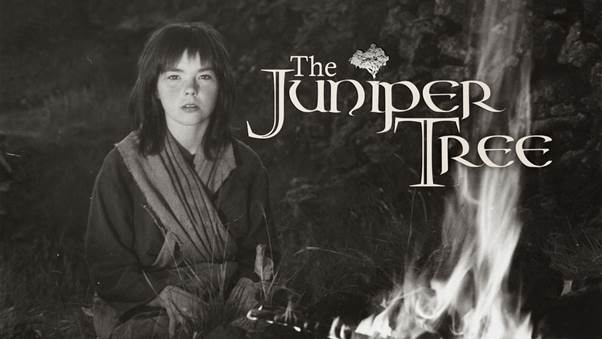 `The Juniper Tree’ is a 1990 Icelandic fantasy art house drama film directed and written by Nietzchka Keene. Based on the fairy tale “The Juniper Tree” collected by the Brothers Grimm, it stars a small cast of five actors, Björk, Bryndis Petra Bragadóttir, Guðrún Gísladóttir, Valdimar Örn Flygenring and Geirlaug Sunna Þormar. Margit and her older sister, Katla, flee their homeland in Iceland after their mother is killed for practicing witchcraft. Needing a place to stay, Katla casts a spell over a young farmer named Jóhann which makes him fall in love with her, ensuring the wellbeing of herself and Margit. Jóhann’s son, Jóhas, sees through Katla’s plan and pleads for his father to make her go away. To help Jóhas in his struggle, Margit’s mother appears to Margit in visions and provides a magic amulet of protection for the boy. Will Jóhas be able to rid his family of Katla or will she continue to control them with her witchcraft? `The Juniper Tree’ was shot in Iceland with an extraordinarily small budget in the summer of 1986, but because of financial problems later on in the editing room, it was not released until 1990, when it competed for the Grand Jury Prize at the Sundance Film Festival. The film was shot in black and white to highlight its dramatic content and as a resource to place the story in the Middle Ages. Some scenes were filmed in the Seljalandsfoss, Iceland. Shown in the early 80s by the BBC `West Country Tales’ was a rural Tales of the Unexpected. The twist was that the stories were apparently based on letters collected by the producer recounting real life experiences. Most of the cast and indeed the director (Kevin Crooks) seemed to have worked solely on `West Country Tales’ but Milton Reid who played the Beast had an interesting career appearing in `The Spy who loved me’, `Dr.Phibes rises again’, `The Return of the Pink Panther, `The Goodies’ and `Cannon and Ball’ as well as an uncredited role in Folk Horror classic `Blood on Satan’s Claw’. The Narrator for all episodes was Jack Watson who in his 45 year career appeared in `Sky’, `The Changes’, `Arthur of the Britons’, `The Gorgon’ and `Peeping Tom’ as well as countless war films such as `North Sea Hijack’, `Wild Geese’, `The Devil’s Brigade’ and `The Hill’. 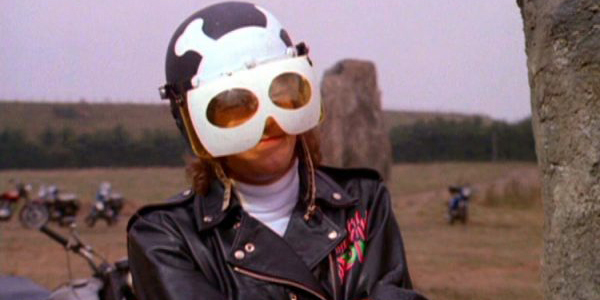 4 – Our forth Folk Horror treat for the lead up to Halloween is `Psychomania’ ( AKA The Death Wheelers). A gang of young people call themselves the Living Dead. They terrorize the population from their small town. After an agreement with the devil, if they kill themselves firmly believing in it, they will survive and gain eternal life. Following their leader, they commit suicide one after the other, but things don’t necessarily turn out as expected……what’s not to love?! Released in1973 it was George Sanders last film (He had previously won an Academy Award for his role in All About Eve and was the voice of the malevolent man-hating tiger Shere Khan in Disney’s The Jungle Book.) and also featured the late great Beryl Reid as well as Bill Pertwee (of Dad’s Army fame) and Robert Hardy. 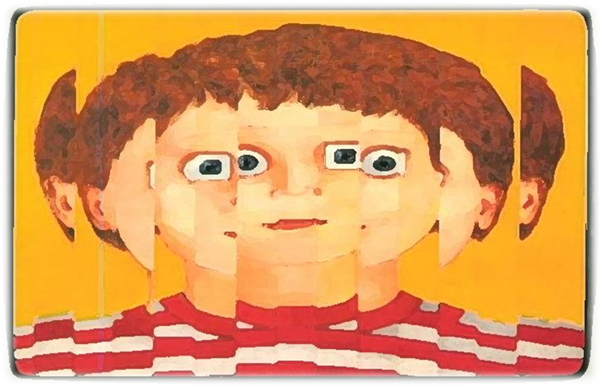 The soundtrack was by John Cameron who had previously worked with Donovan as well as writing the masterful `Kes’ soundtrack. 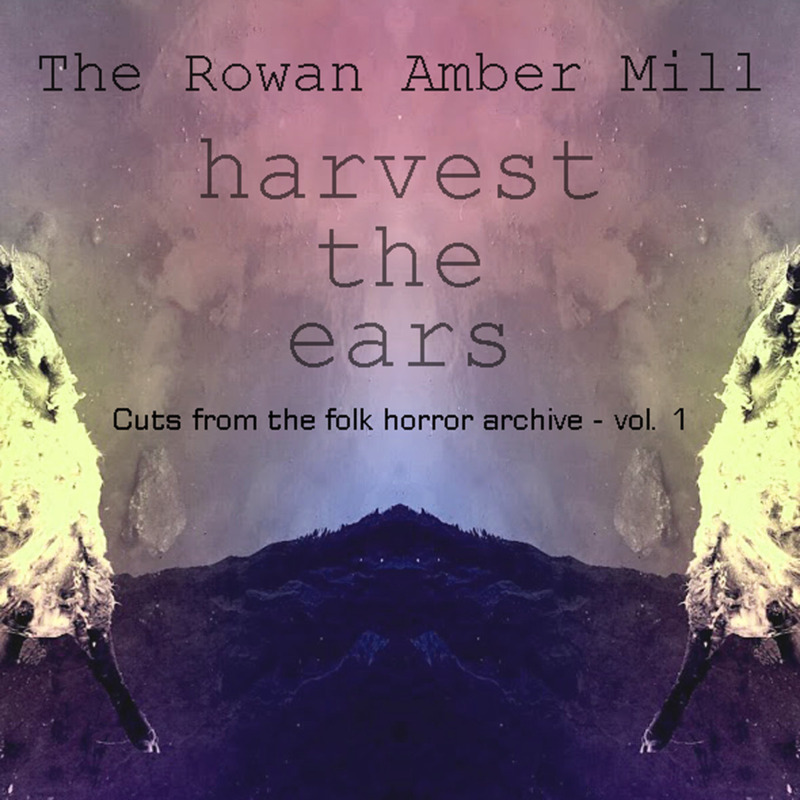 An interview with John as well as a review of the soundtrack can be found in `Harvest Hymns’ from FHR publishing wing `Wyrd Harvest Press’. It wasn’t critically well received at the time but has since become a cult classic and has seen fans of the film making pilgrimages to Walton-on-Thames to hunt down the filming locations. 5 – Our fifth Folk Horror treat for the lead up to Halloween is `Moondial’ – the complete series. Regarded as a nostalgic favourite by followers of 1980s BBC children’s drama, `Moondial’ employs extensive location filming (in the grounds of Belton House in Lincolnshire) and fantastical, dreamlike imagery. It also boosts an evocative soundtrack and memorable titles scene. It included in its cast the late great Arthur Hewlett and Jacqueline Pearce – who sadly passed away just last month. Jacqueline was best known as the villain Servalan in the British science fiction TV series Blake’s 7. Of interest to this group she also starred in The Plague of the Zombies and The Reptile, which were filmed simultaneously on the same location and both released in 1966. 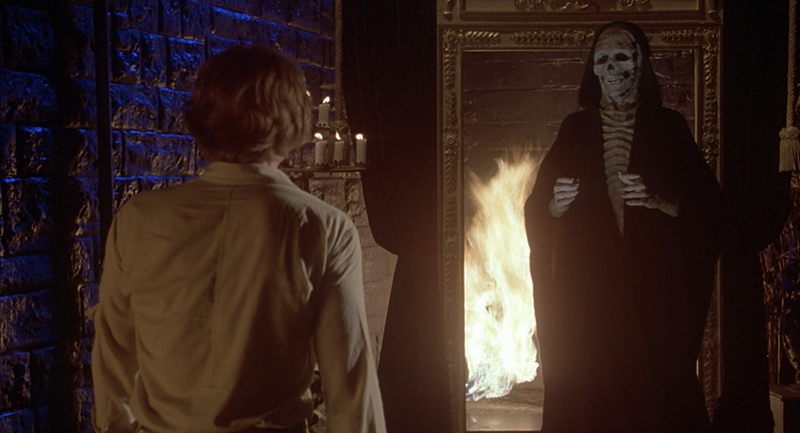 6 – Our sixth Folk Horror treat for the lead up to Halloween is `The Devil’s Widow’. 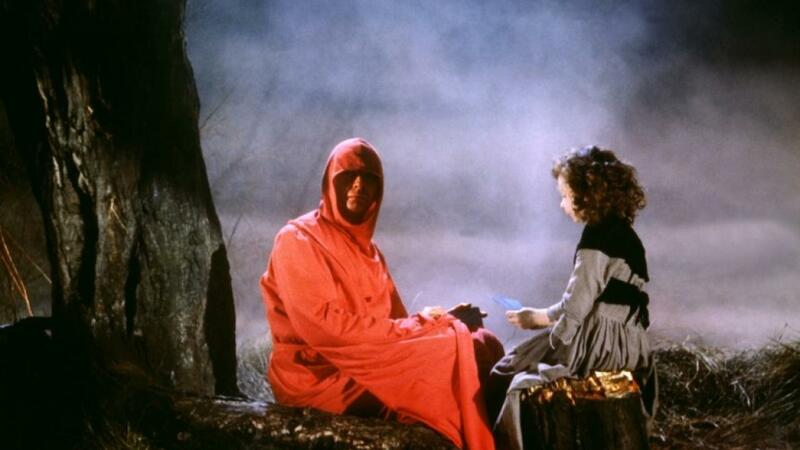 Released in 1970 `The Devil’s Widow’ was based on ancient Scottish folk song, The Ballad of Tam Lin. It starred Ava Gardner and Ian McShane as well as featuring the talents of Stephanie Beecham Sinead Cusack, Joanna Lumley and Madeline Smith and was Planet of the Apes regular Roddy McDowall’s only directorial credit The film had original music by Stanley Myers (responsible for some classic horror soundtracks for House of Whipcord, Frightmare, House of Mortal Sin) and a musical version of the original poem recorded by Pentangle. Released in 1981 the version online is an old VHS print…so picture quality may be a bit dark in many night scenes…..but it all adds to the atmosphere and harks back to the days of bootleg videos of hard to get hold of horror films. In 1692 a young girl in Salem, Massachusetts, accuses several residents of being witches, and they are burned at the stake. 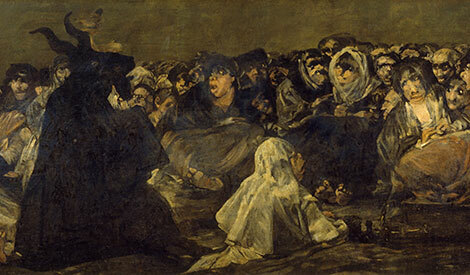 In 1980 a young woman who is a descendant of the accuser believes she is being terrorized by the ghost of the father of the women who were burned as witches. Its theatrical release was both scattered and limited and it was through a slot as a CBS Late Night Movie in 1988 that The Coming attained its biggest audience and its reputation started to grow. Dead of Night ran for a single series in the autumn of 1972. Of its seven 50-minute episodes, only three—”The Exorcism”, “Return Flight”, and “A Woman Sobbing”—are known to exist today in the BBC’s archives.These were released together on DVD by the British Film Institute in 2015, with the scripts for the missing episodes of the series included as PDF files on the disc. The Stone Tape (1972) was conceived and made as an episode of this anthology series, but was removed from it before being transmitted and shown as a standalone television play instead. It features a moving performance by Anna Crooper (1938 – 2007) who made a name for herself as a character actor in various TV crime dramas such as Poirot, Ruth Rendell Mysteries, Midsomer Murders and Miss Marple but is perhaps best known in this group for her role in 1970’s Play for Today `Robin Redbreast’. This episode also featured Edward Petherbridge who you may know from the 1961 TV version of the Ben Jonson play `The Alchemist’, 1975’s The Ash Tree or more recently `Jonathan Strange & Mr Norrell. Please do not be fooled by the slimness of this volume, these are tales to charm, chill, intrigue and entertain. The collection opens two differing ghost stories. Firstly the eponymous "A Persistence of Geraniums". 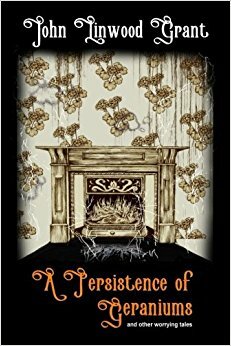 A wonderfully humorous ghost story with a twist. Full of witty one line descriptions which capture the nature of the characters with a cutting perfection. Following this comes "His Heart Shall Speak No More" a darker, more serious tale in the vein of traditional ghost stories. Exploring the well loved theme that some things which are found would be much better not found at all and having all of the required shivers one would expect of a tale of this kind. It then moves on to a series of stories concerning Edwin Dry, The Deptford Assassin. No ordinary assassin in any way, shape or form. By turns he shows a social conscience, a chilling coldness and lack of emotion and a humour entirely his own. From impersonating an asylum inmate, to shrugging off a demonic possession, nothing it seems can shake his steady nerve and calm demeanor. An extremely intriguing character that I would be more than happy to read more of. The closing story is an alternative view of Thomas Carnacki, which I will say little about, other than it shows the great Occult Detective in a very different light. Definite food for thought. A thoroughly enjoyable read, I would be hard pushed to chose a favourite from these entertaining tales. What stands out throughout is John Linwood Grant’s skill of description and humour. With a minimum of words he makes these characters alive. A passing mention of one item of clothing or a small but telling personality trait and somehow their essence is captured. Tales with dark edges and at times a dark humour to match. 1. There was a distinct lack of geraniums. 2. It really wasn’t long enough. Reading it has left me with the desire to read more of the back catalogue of short stories available and to hope that more will be forthcoming! To say a little about the author, John Linwood Grant frequently entertains the members of the Folk Horror Revival group with his excellently funny St Botolph’s Parish Newsletters. Those of us lucky enough to be on his Facebook friends list get extra snippets from St Botolphs which are often some of the funniest things I find in my newfeed. John is also part of the editorial team behind the Occult Detective Quarterly magazine and his short stories have appeared in numerous publications. More from John can be found on his Greydogtales blog. He also likes lurchers, a lot.